RM and RMS are modular fuse disconnect switches for class midget and CC fuses. 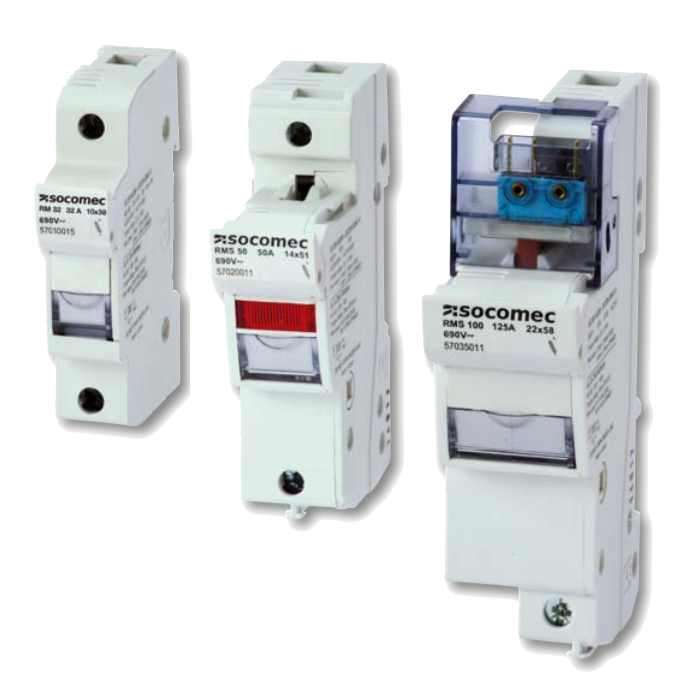 They provide safety disconnection and protection against overloads and short-circuits in any low voltage electrical circuit. - RM: Non-signalling fuse disconnect switches for fuses without strikers. - RMS: Fuse disconnect switches with pre-break auxiliary contact, position and blown indication.